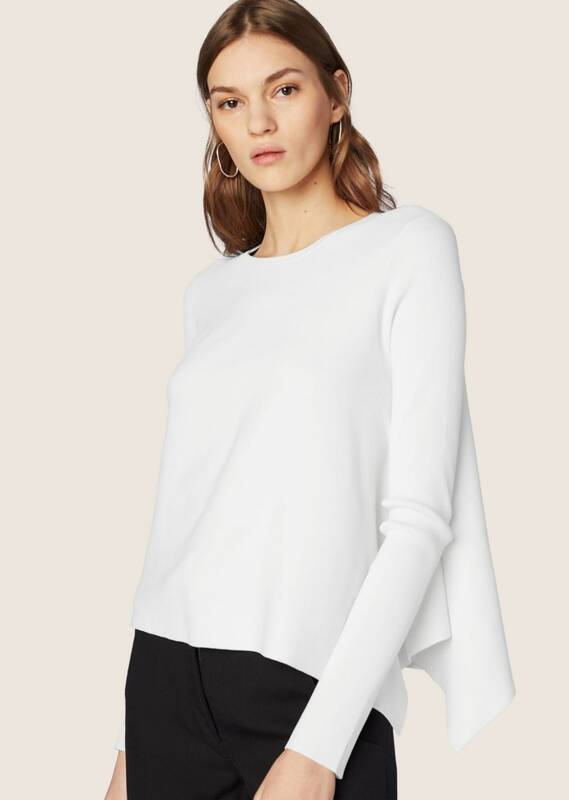 Long-sleeved pullover in white ribbed viscose with draped asymmetrical hemline. Wide neck. 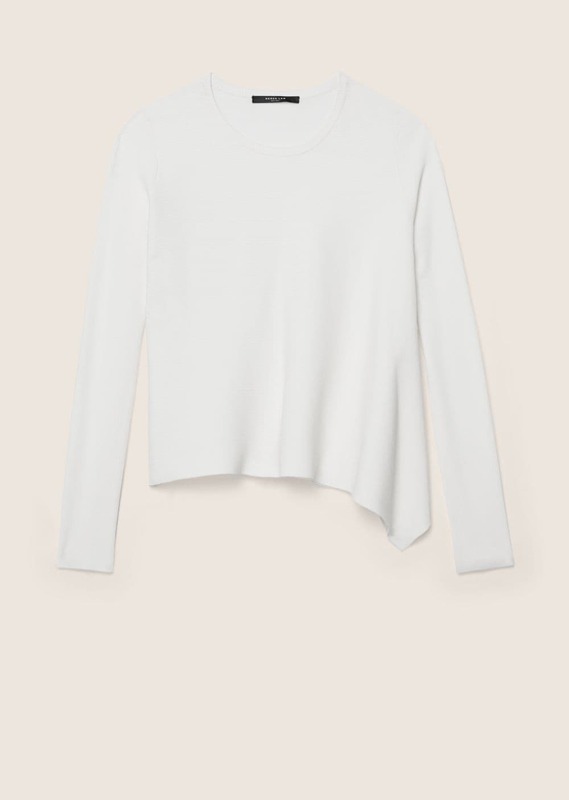 Slim sleeves. Tonal stitching. Imported.